Precellys Evolution is the universal tissue homogenizer combining high flexibility and high efficiency for either routine or R&D projects. Especially designed for L3 laboratories, the Precellys Evolution is based on 10 years of sample preparation expertise. It offers optimal robustness and safety. The Precellys Evolution possesses a unique automatic tube locking system – a real push-and-play system. 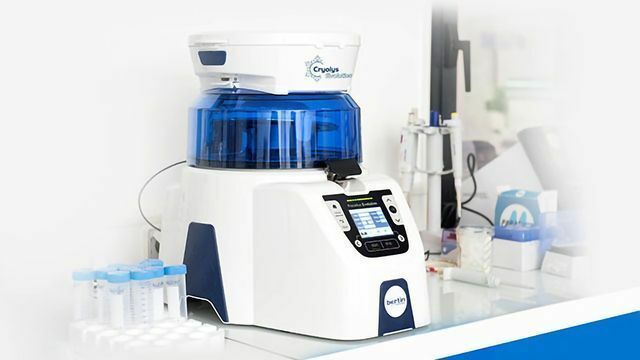 The Precellys Evolution homogenizer can process five different sizes of tubes (0.3mL in well-plate format, 0.5, 2, 7 and 15mL) and up to 24 tubes simultaneously. Its flexibility and high efficiency give users the ability to grind, homogenize or lyse any type of soft or hard sample from animal, human, plant or microorganism sources in seconds.